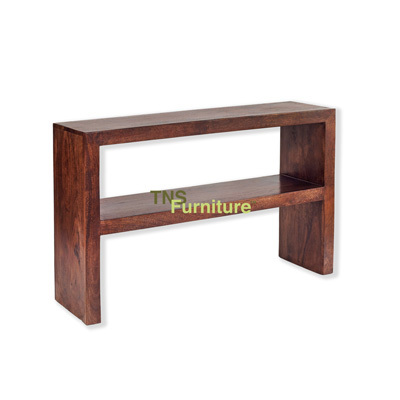 Simple styling and contemporary looks form the basis for the stunning console table with its think timber and practical shelf. Manufactured in India from Mango wood to a very high standard totally by hand. With a walnut waxed finish these really look stunning.